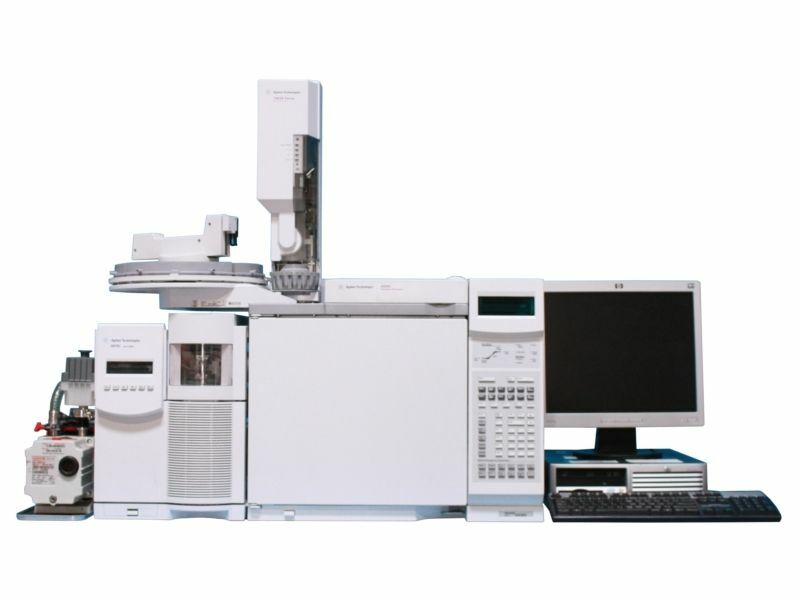 At our cannabis testing facility we use Agilent 6890N, which is a state-of-the-art gas chromatograph that provides superior performance for all applications. Key to its performance is the use of advanced electronic pneumatic control (EPC) modules and high performance temperature control. Each EPC unit is optimized for its intended use with a specific inlet and detector option. Temperature control of the 6890N oven allows for fast and precise temperature ramping. Overall thermal performance provides optimal chromatography including peak symmetry, retention time repeatability, and retention index accuracy. The combination of precise pneumatic control and accurate temperature control leads to outstanding retention time repeatability, the basis for all chromatographic measurement. A full array of traditional gas sampling and column switching valves are available. A new highperformance inert pneumatic switching manifold is available for a number of advanced chromatographic applications (2-D heart cutting, detector splitting, etc). Agilent GC systems are known for their reliability, ruggedness, and long life. Dual channel design supports two inlets and two detectors. Full range digital data output enables the smallest and largest peaks to be quantitated in a single run. Full EPC is available for all inlets and detectors. Control range and resolution are optimized for the specific inlet or detector module. EPC with capillary columns provides four column flow control modes: constant pressure, ramped pressure (3 ramps), constant flow, or ramped flow (3 ramps). Column average linear velocity is calculated. Atmospheric pressure and temperature compensation is standard, so results do not change, even when the laboratory environment does. Automatic Liquid Sampling is fully integrated into mainframe control. Set point and automation control can be done from the local keyboard or via a networked data system. Clock-time programming can be initiated from the front panel to initiate events (on/off, method start, etc) at a future date and time. A run time deviation log is created for each analysis to ensure that all method parameters were achieved and maintained. Display of all GC and automatic liquid sampler (ALS) set points at the GC or data system. Agilent supports open connectivity by providing communication protocols to other vendors.